This cage was gifted by the Dorothy Ann Foundation in USA. 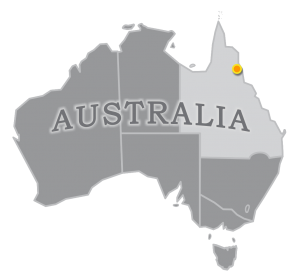 It is 4 metres wide, and its 8 metre length is divided into 3 sections. Two of the sections are of equal size 3.5metres by 4 metres. One is used for orphans when they first leave the nursery, and the other for adults who have just left the hospital having survived tick paralysis. The narrow middle section is used as a segregation area. It is a double-skin cage with 6mm x 6mm mesh wire on the outside and 25mm x 12mm mesh wire inside – important to have space bars between so the bats don’t get their claws caught in the 6mmx6mm. 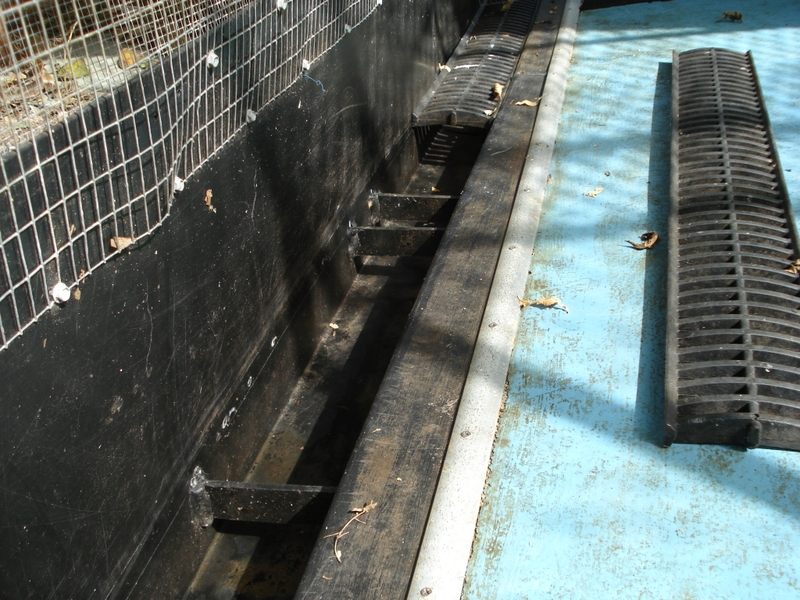 This cage has a concrete floor that slopes towards a gutter that eventually drains by gravity to the pumpwell down in the large flight cage. 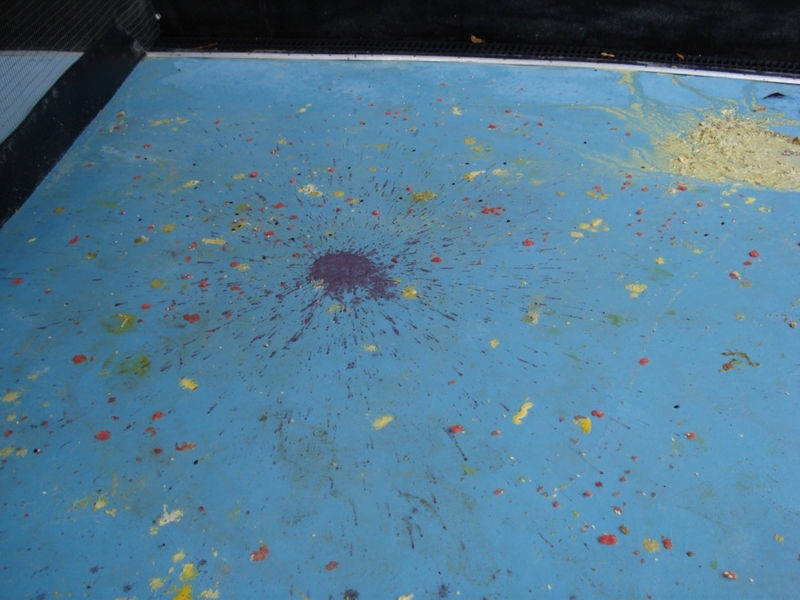 The concrete has been painted with Dulux durebild STE a 2 pack epoxy paint that makes the floor easy to clean. The cage has a ceiling of prawn netting, with a space of about 30cms to the wire mesh roof. The wire mesh between the sections is 25mm x 12mm. 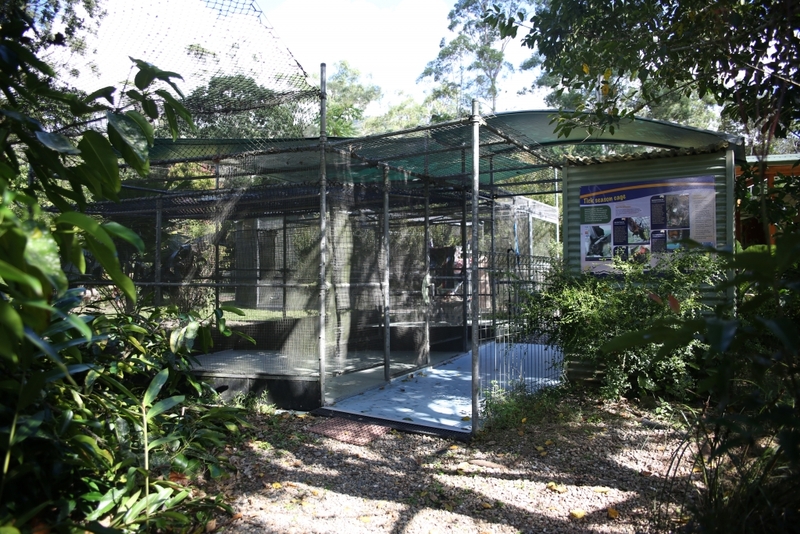 This cage is partly covered by an attractive green sail, giving the bats and volunteers protection from too much sun and rain. Attached to the cage area is ‘the bat shed’, a human area for keeping cleaning equipment and other bat “stuff”. Walking up to the Orphan cage from the Flight cage. 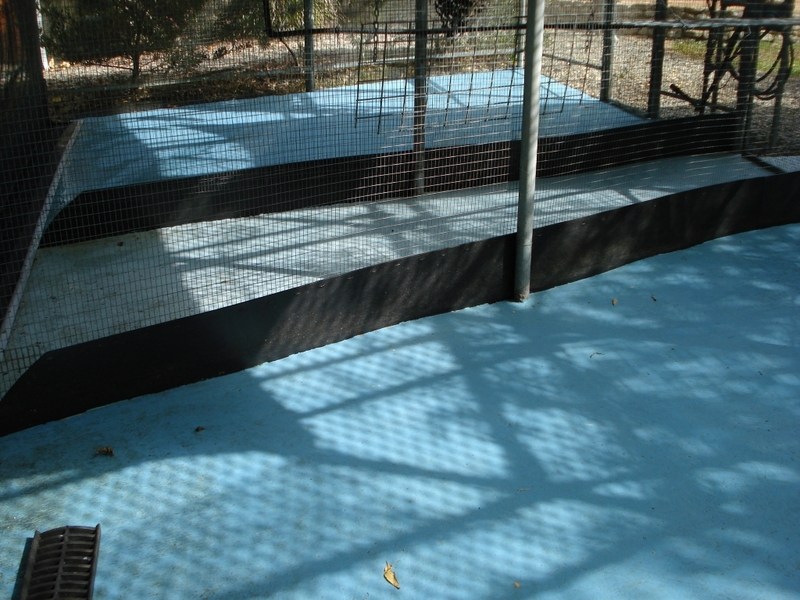 The 3 sections are divided with the same polybelt we use around the cages so that not all sections need cleaning if only one cage is being used. We had a customised gutter built with a high splash-back. Sometimes, depending on the colour mix of the food, it looks like ART!